Follow the link for further details about our Open Day. 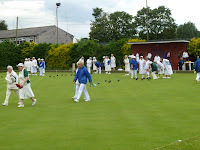 Welcome to Woodley Bowling Club. Looking for a new interest, friendly people, outdoor activity? Then why not try Bowls? 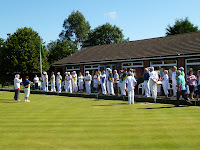 We are a friendly club situated in the centre of Woodley. Membership is open to all - bowlers and non-bowlers, of all ages and abilities. You may have been playing on the public rinks for some time; you may be an experienced player who is new to the area, or a complete novice, but you will be warmly welcomed into our 'bowling family'. The season runs from late April to September. The green is open most afternoons with a steward in attendance from 2.00 – 4.00 pm, Monday to Friday, and there are usually a couple of rinks free for you to use – but check with the fixture list. 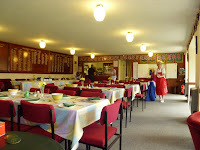 Monday evenings from 6.00 pm are designated ‘club evenings’ and members can meet to take part in a game or to sit and chat over a drink in the club house. The club house and bar are open during most matches on weekdays and at weekends, and on Friday evenings from 6.30 pm. We all work together to make this a truly friendly club! Please follow the links to find out more about us.